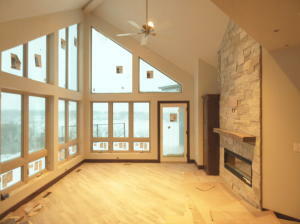 4 bedroom, 3 bath unit in the newly constructed Bayside Building at Bridges Bay Resort. This is a top floor unit boasts an open floor plan and has expansive sunset views of East and West lake. 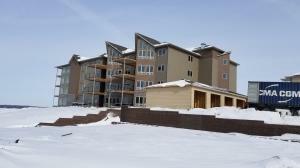 You will also have access to some of the best amenities in the area. Indoor water park, outdoor pool with swim up bar, fitness center, & onsite restaurants to name a few. These condos make great vacation homes and Bridges Bay has a long history of incredible income potential if you choose to rent you unit. This unit comes with 1 underground parking space in a heated environment. Legal:Unit 405, Bayside Bridge Residence Condo at Bridges Bay Resort, located on Parcel P in Government Lot 1, Section 20, Township 99 North, Range 36, West of the 5th P.M., Dickinson County, Iowa. Exact per Abstract and Warranty Deed. This property at 580 Linden Drive 405 (MLS # 19-152) is categorized as Residential Homes for Sale situated in Arnolds Park, IA. 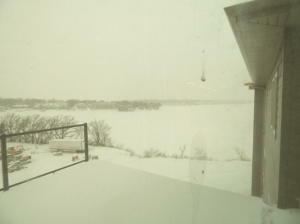 This Residential property is listed on SellBoji.com with a price of $479,900. 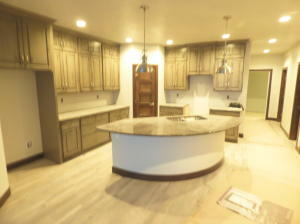 This 4 bedroom property in Arnolds Park at 580 Linden Drive 405 has 1581 sqft with 3 bathrooms and was built on 2019. Whether you are searching for new listings in Arnolds Park or just searching for 580 Linden Drive 405 specifically, you will find all of the market statistics and community information you need. To learn about the difference between 580 Linden Drive 405 and other properties around East Lake Okoboji, just call RE/MAX Lakes Realty, home of the Iowa Great Lakes premier website, SellBoji.com. Our real estate team will be happy to help you with your real estate home search in and around Arnolds Park, IA.